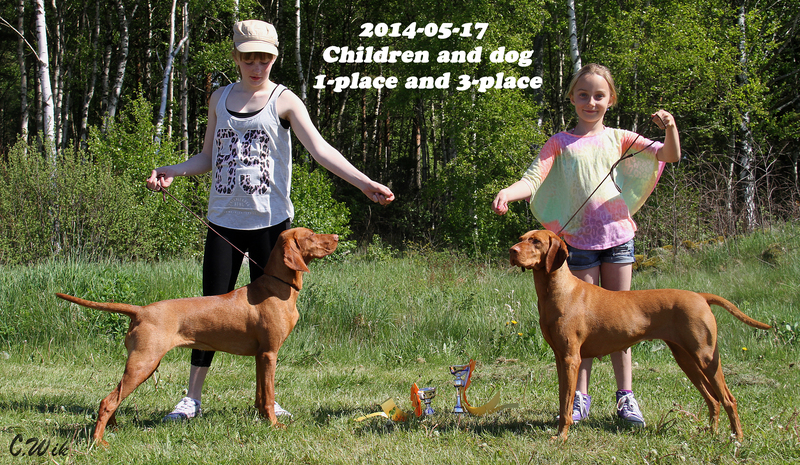 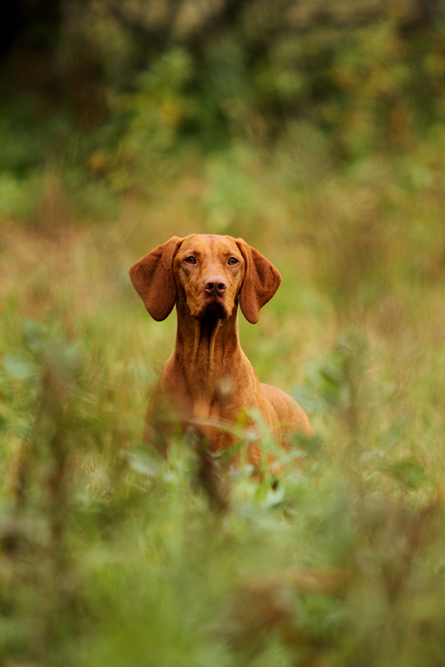 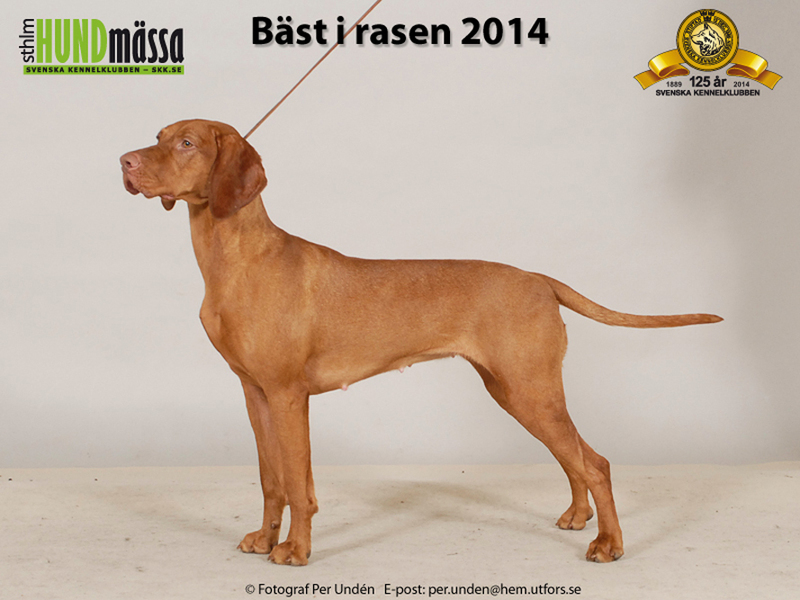 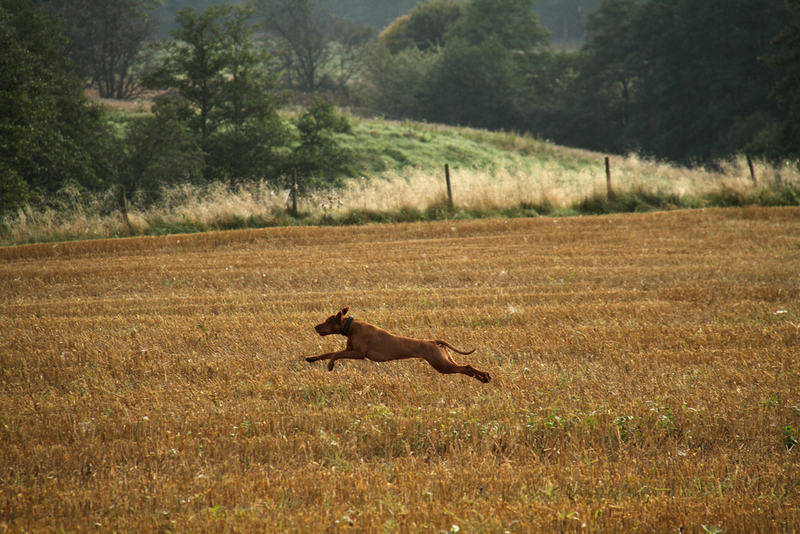 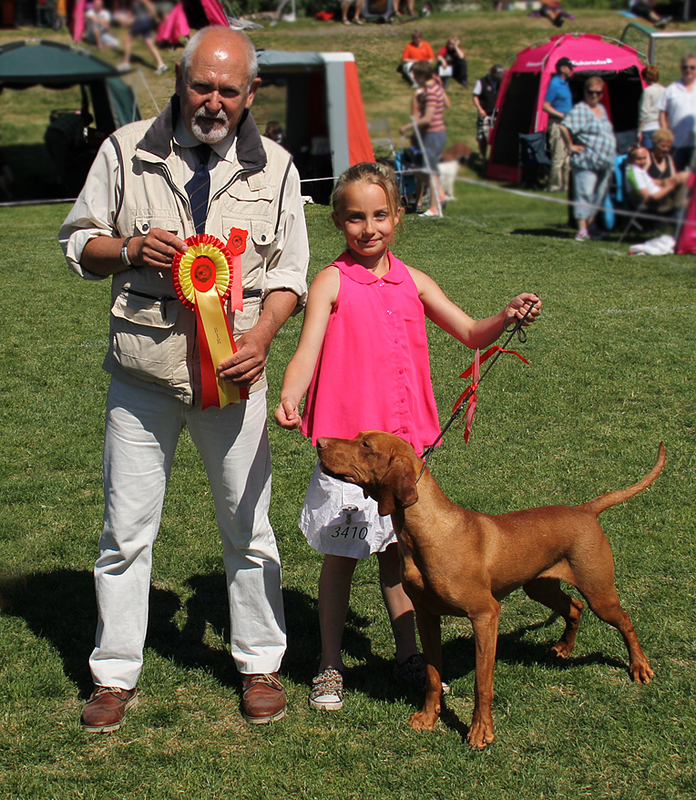 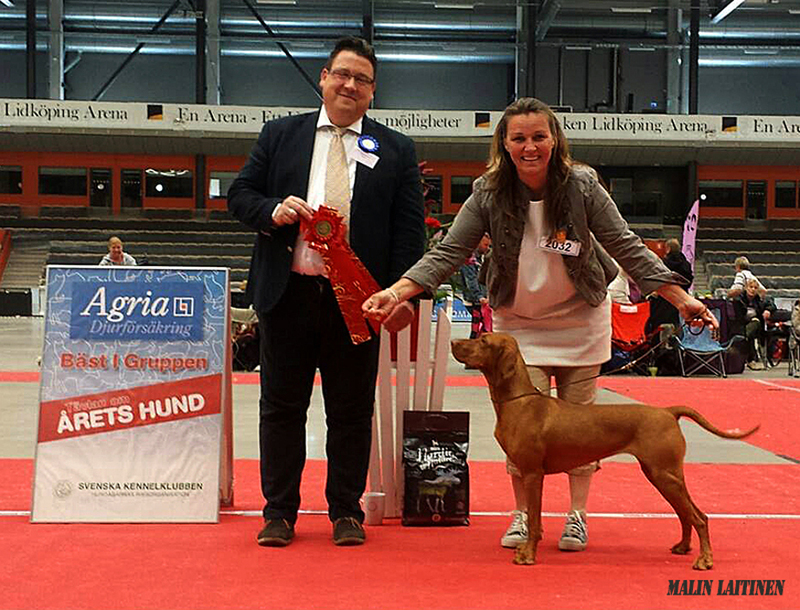 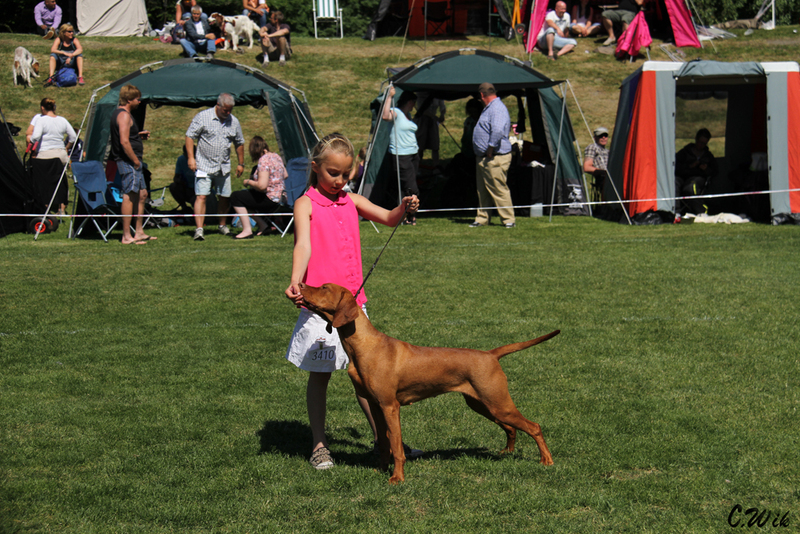 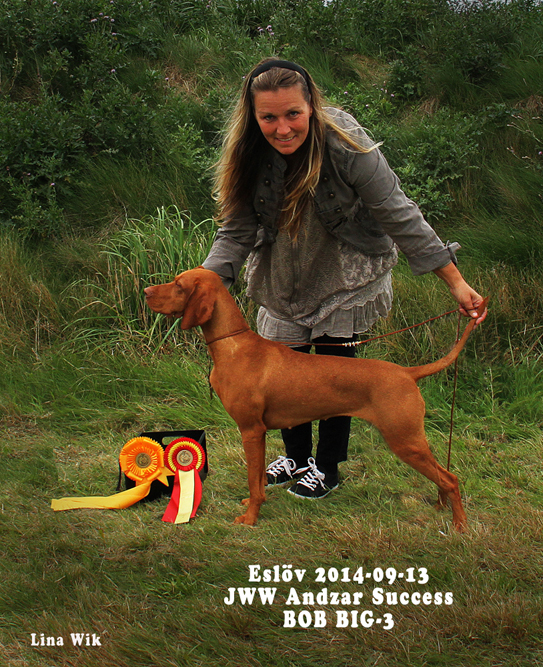 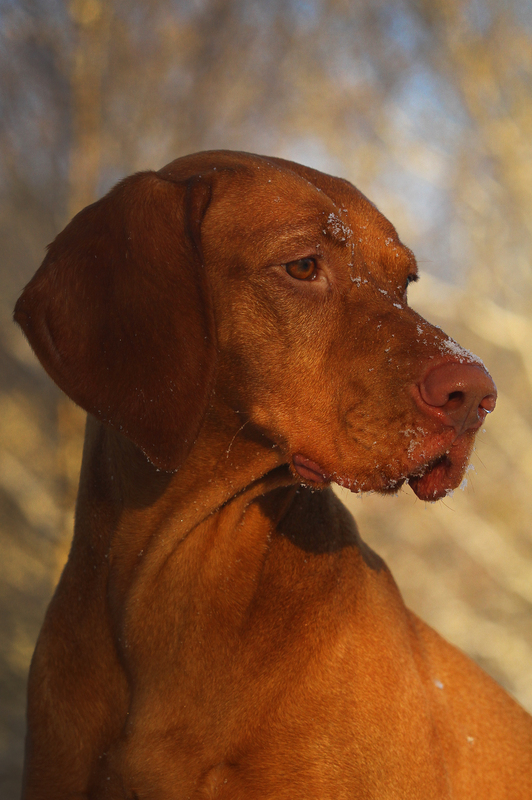 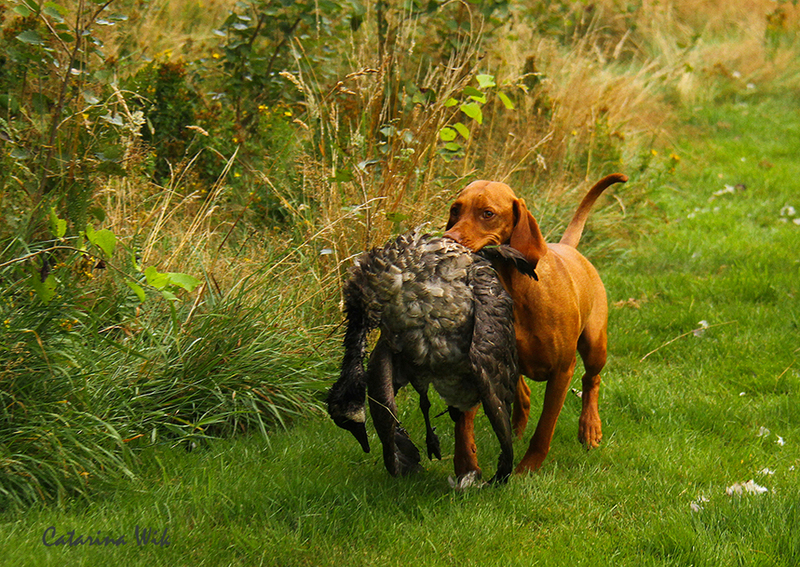 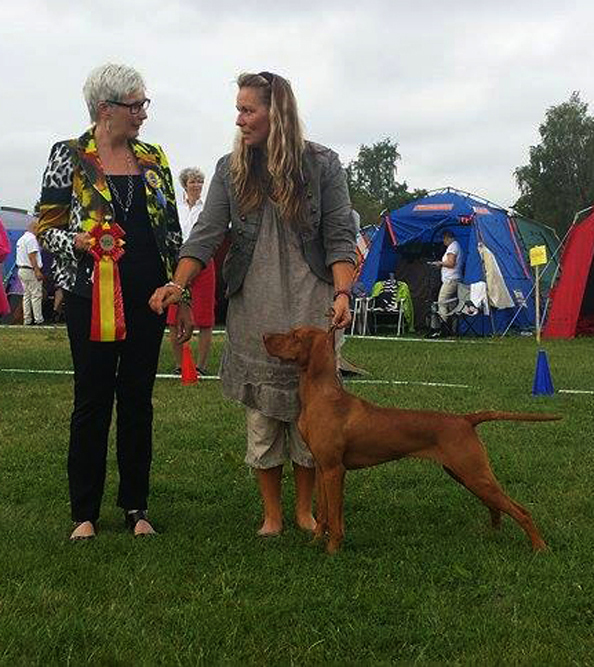 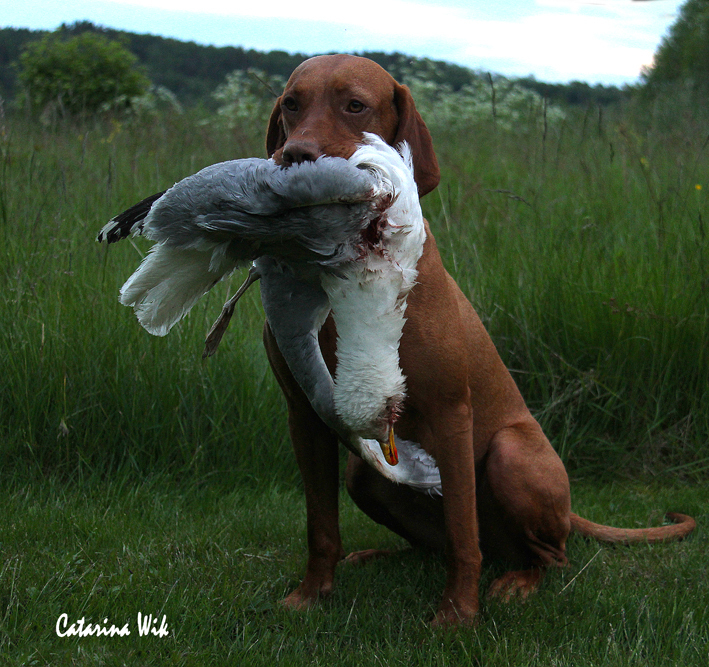 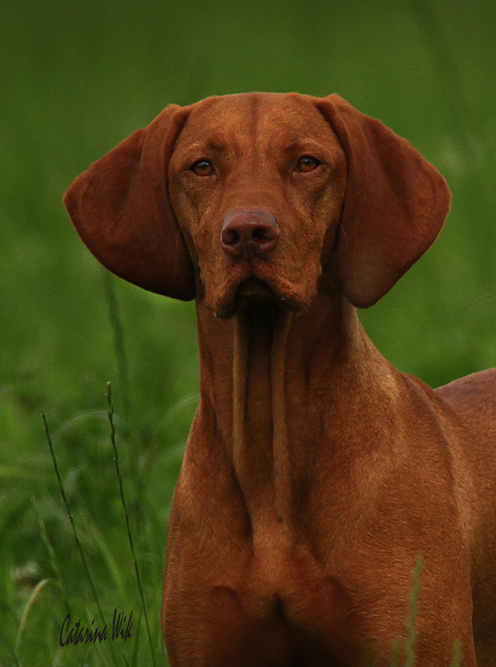 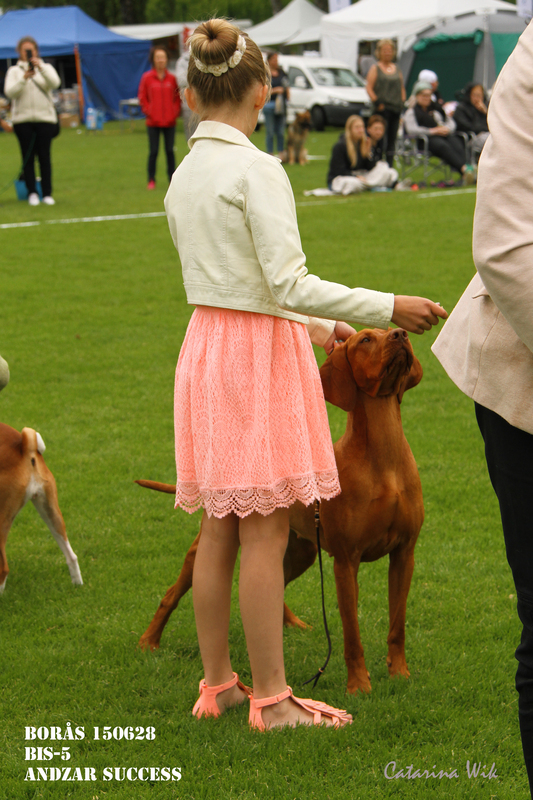 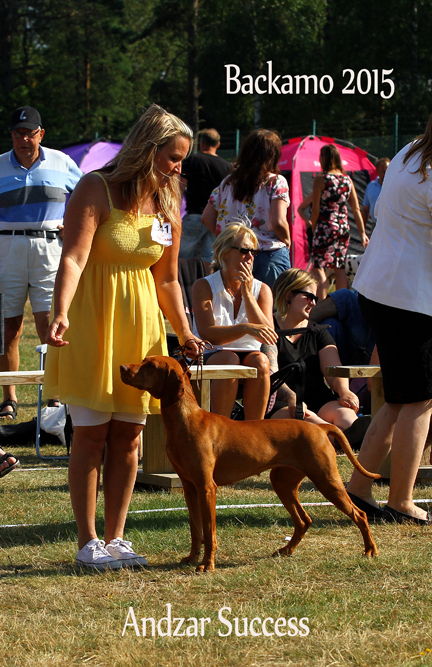 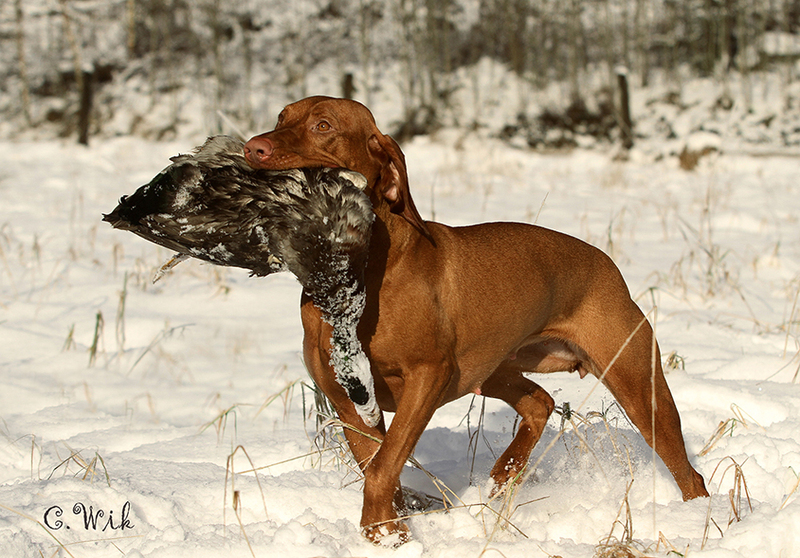 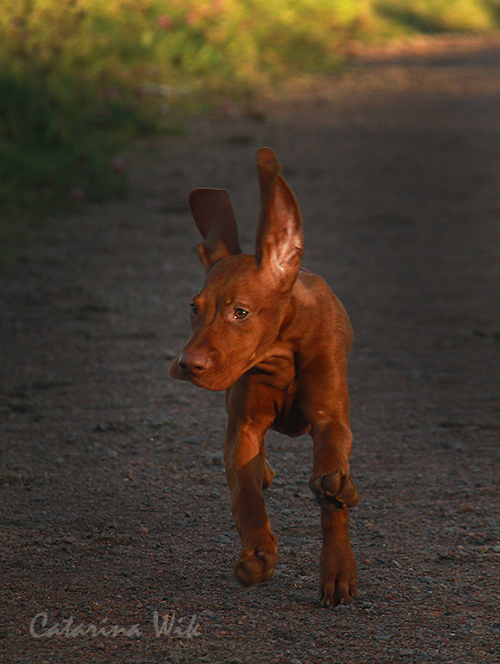 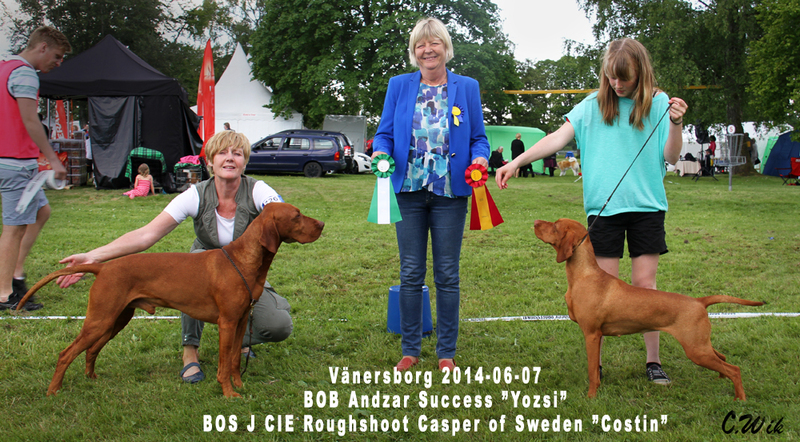 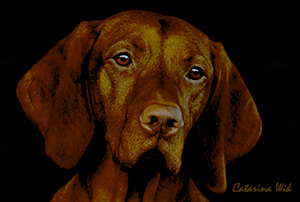 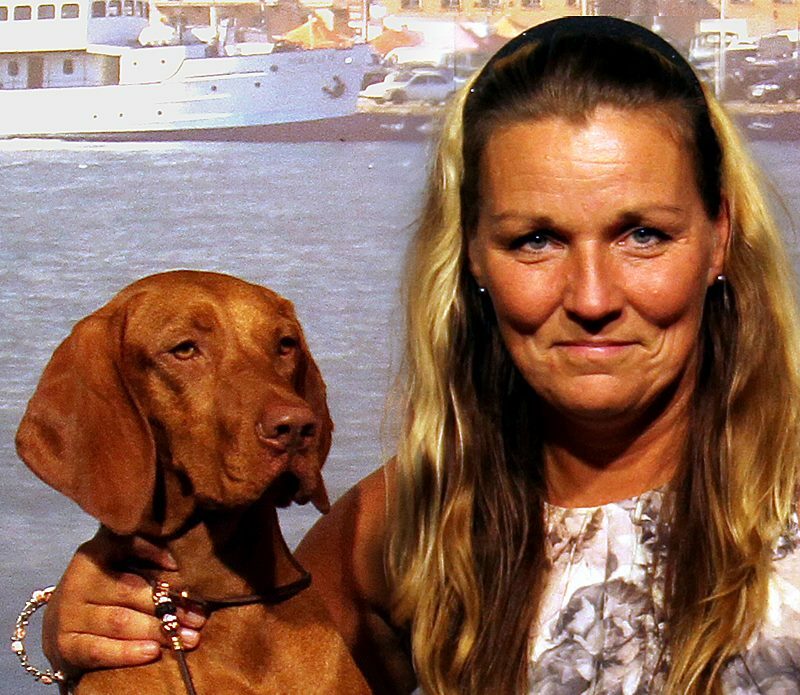 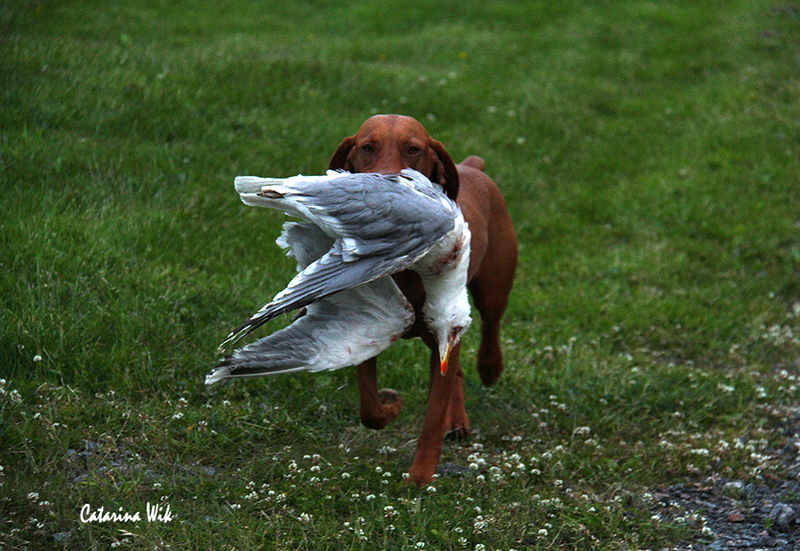 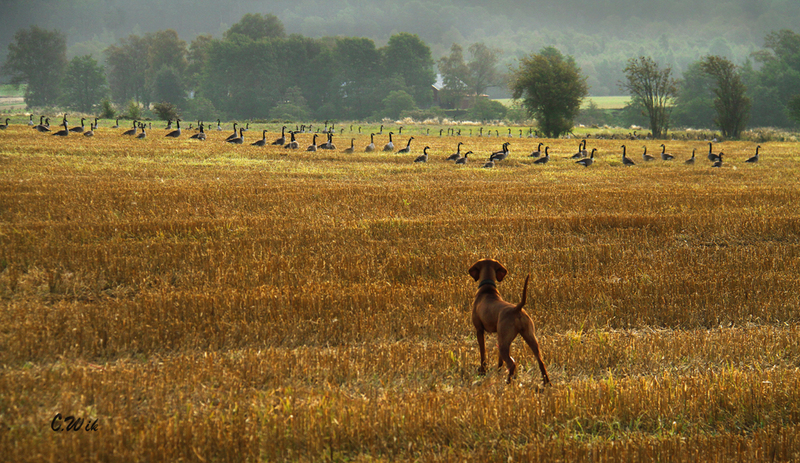 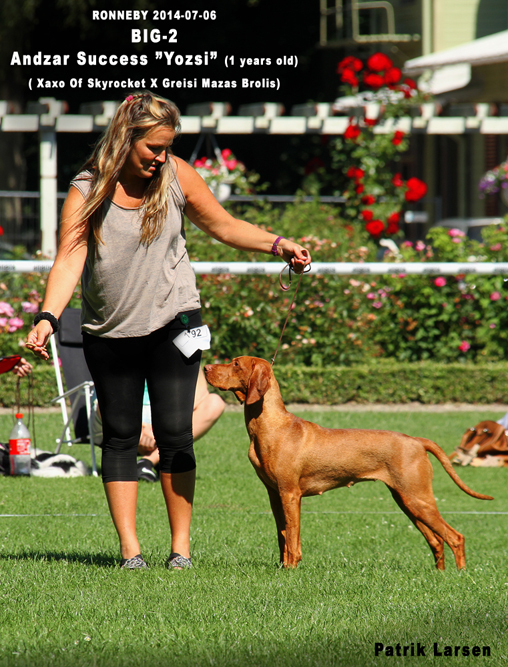 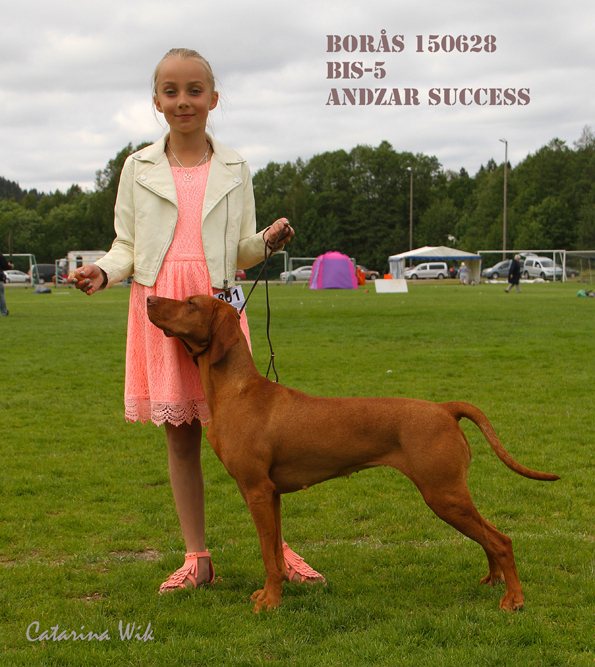 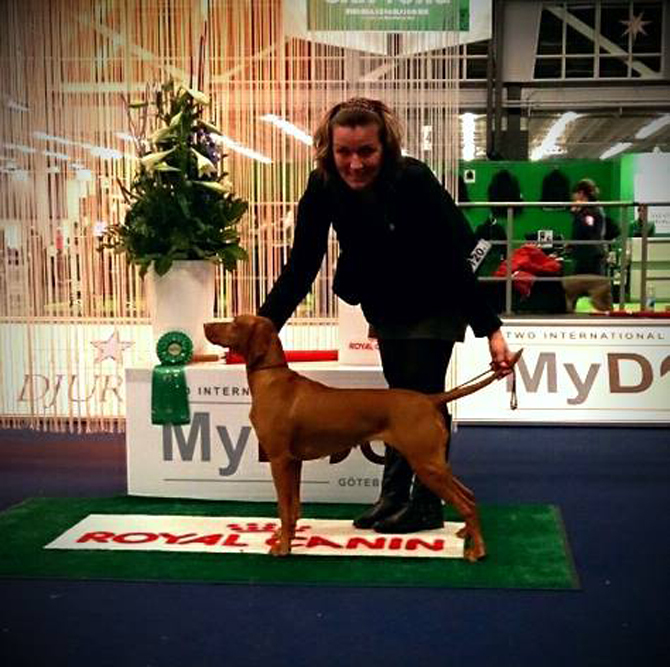 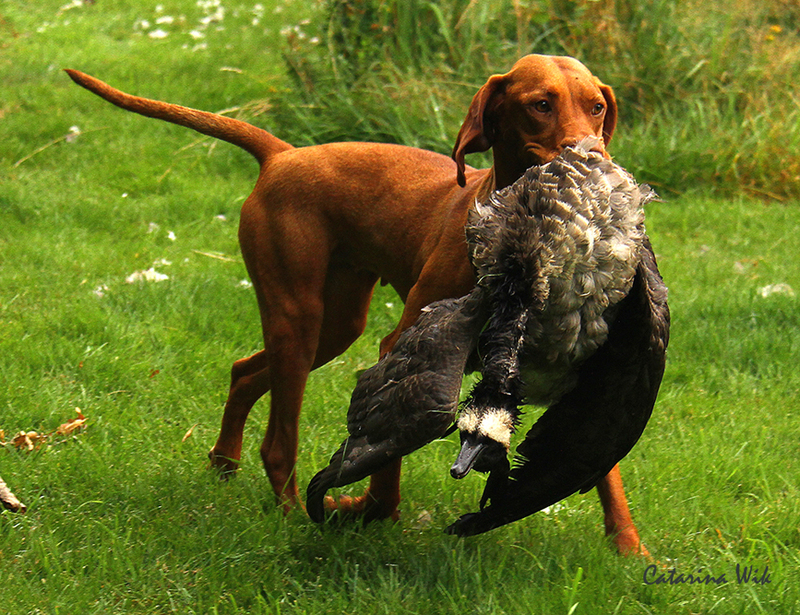 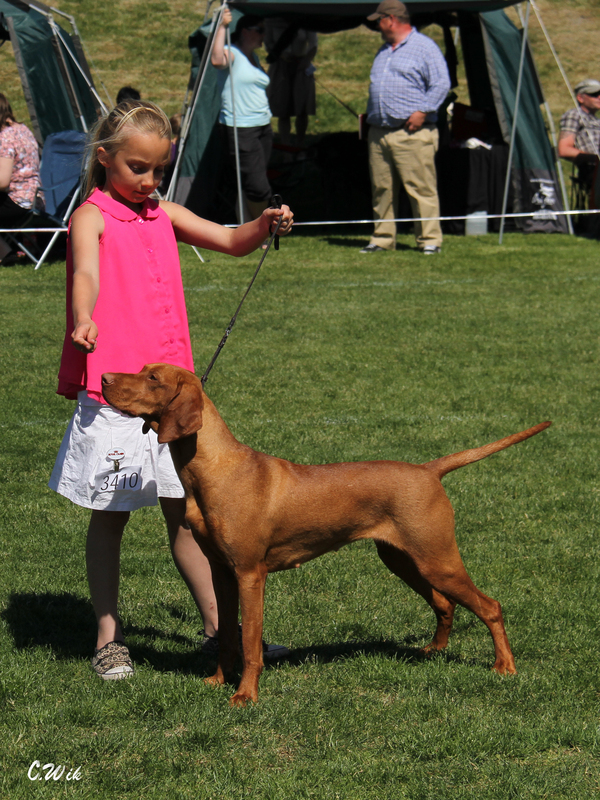 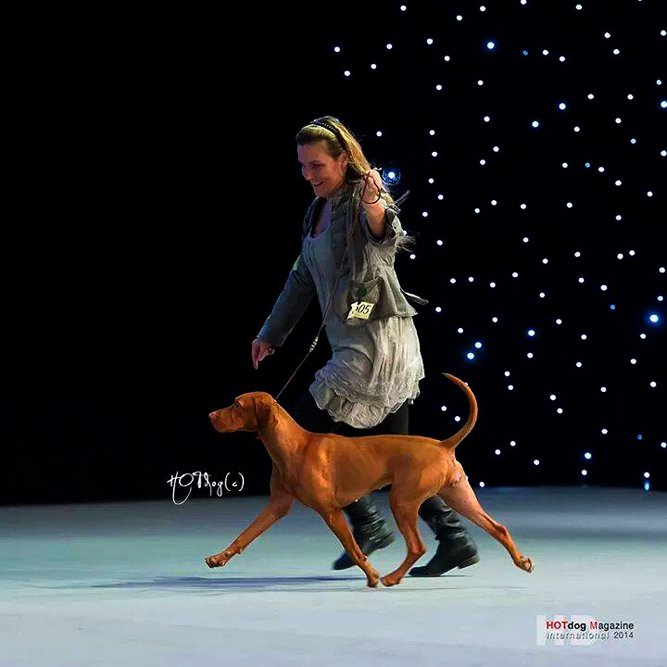 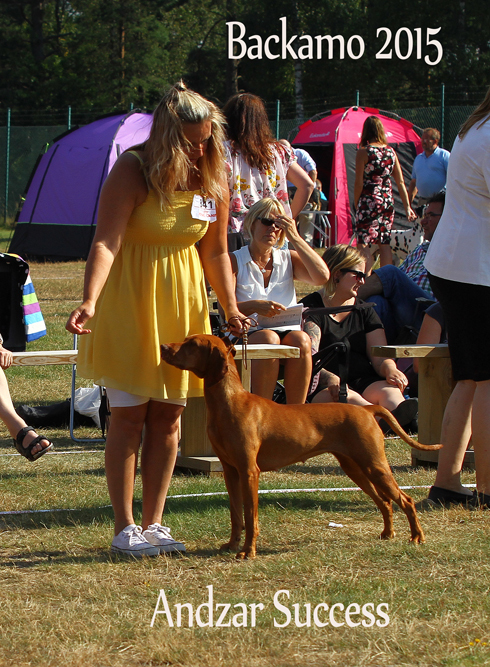 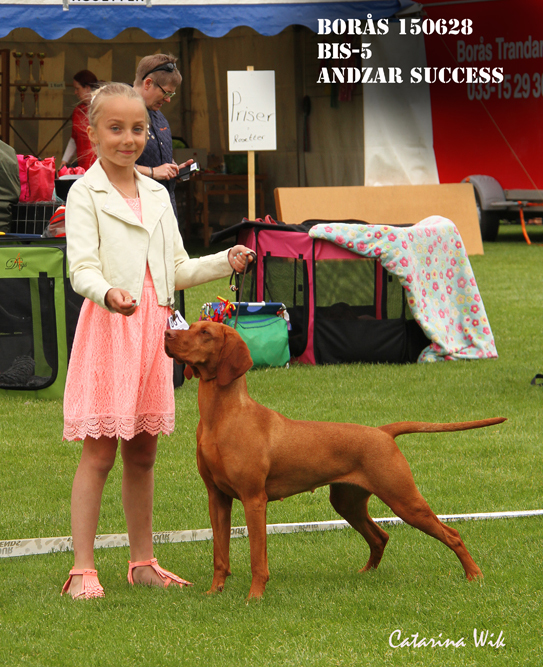 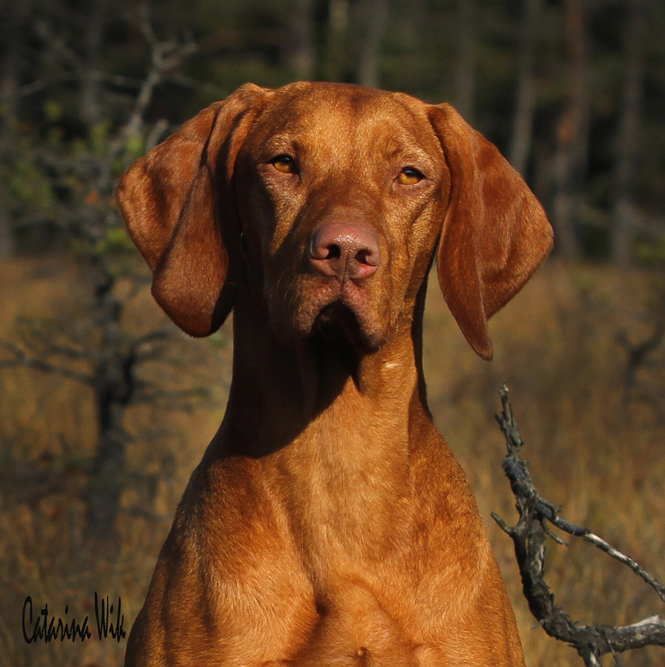 "Yozsi" is a granddaughter after our first vizsla from Australia Hubertus Ziggie Stardust "Lincon". 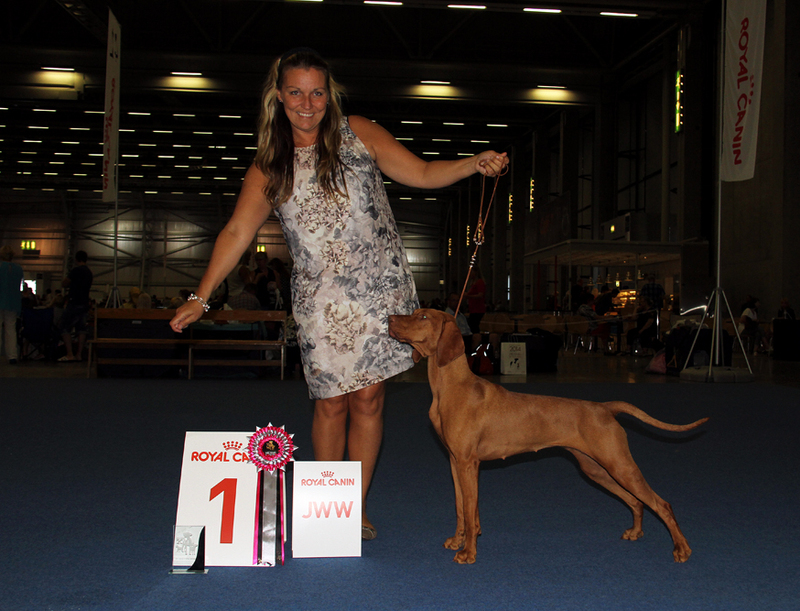 Lincon was BOB in Paris in 2011 at the World Expo! 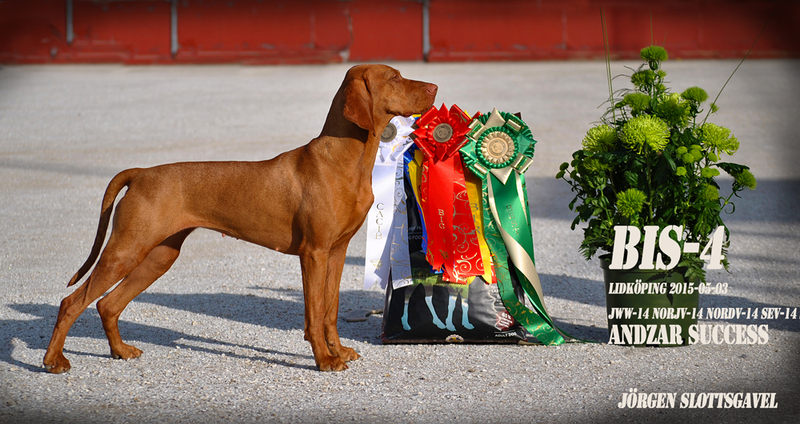 He had a whole bunch of titles! 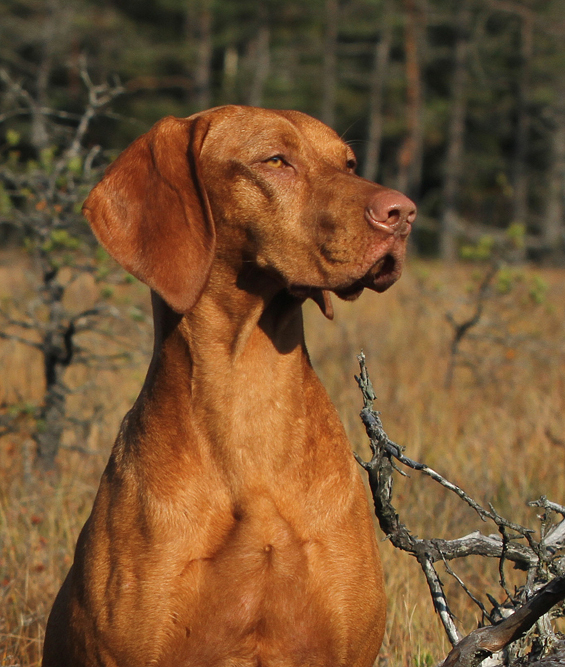 Yozsi have thus very fine blood ... 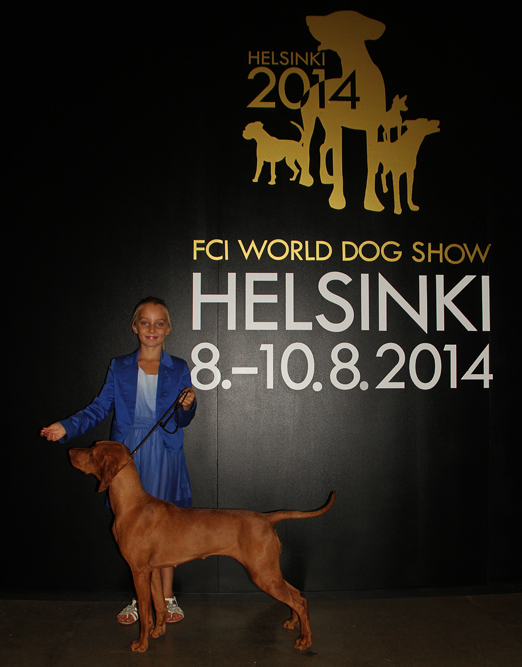 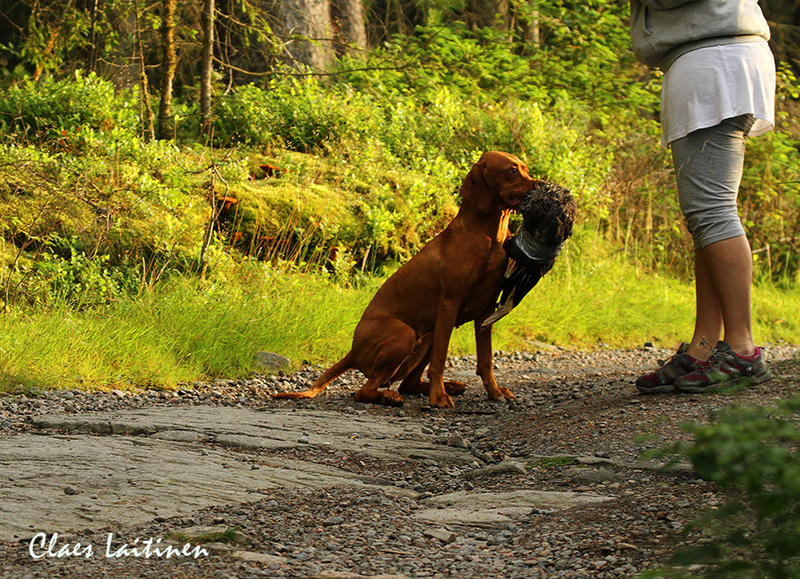 Therefore we Decided to take her home from the St. Petersburg, where she was born by Svetlana Lukowkinas kennel Andzar! 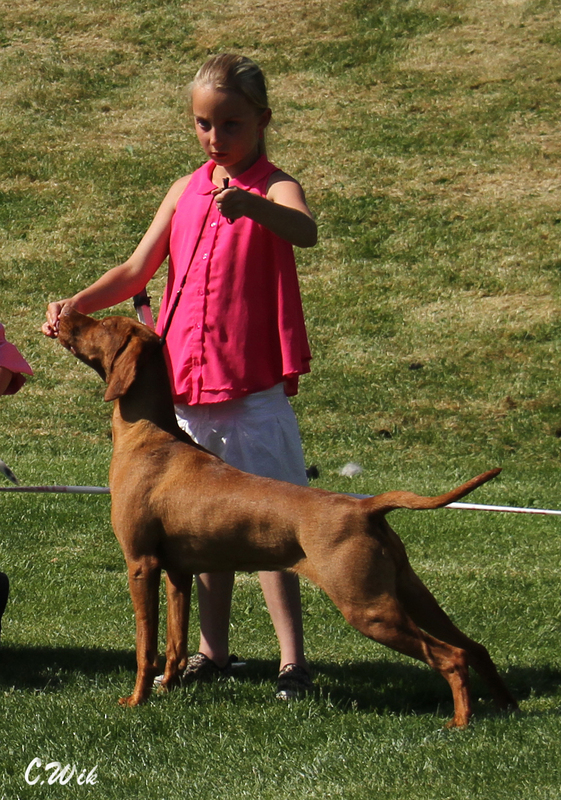 We are incredibly grateful That We were Offered to buy her! 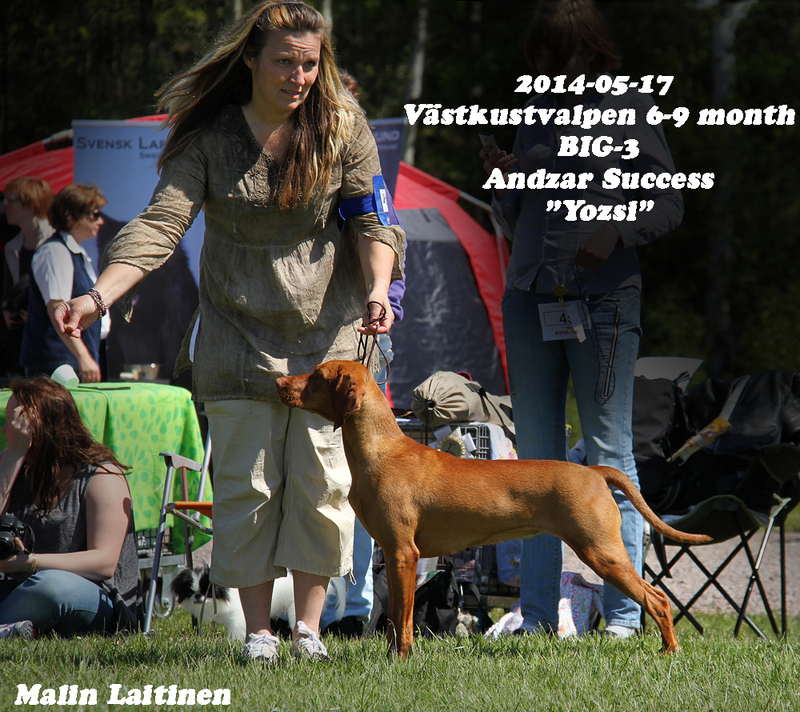 Yozsi are very happy and forwards and love everything in her life! 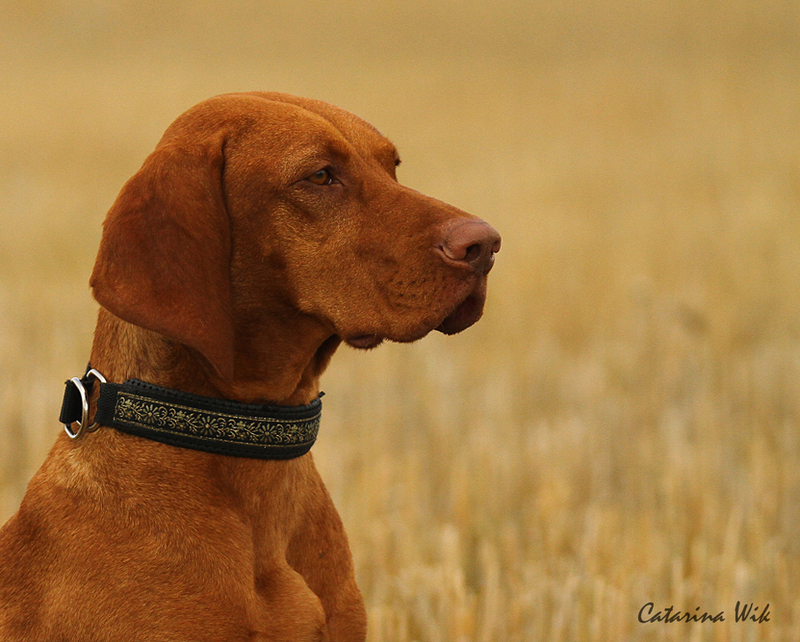 Hunt, shows, swimming, everything think this lady is amazing ! 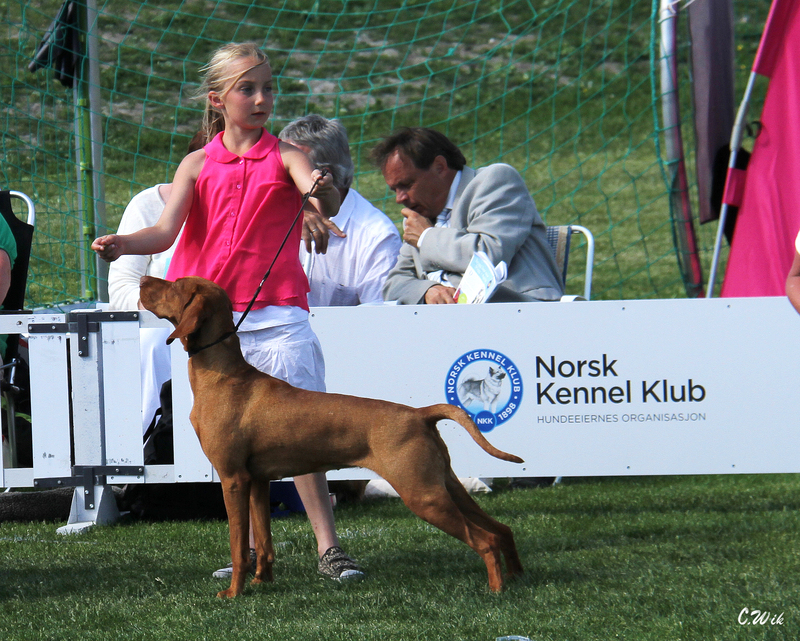 She is born to a star!